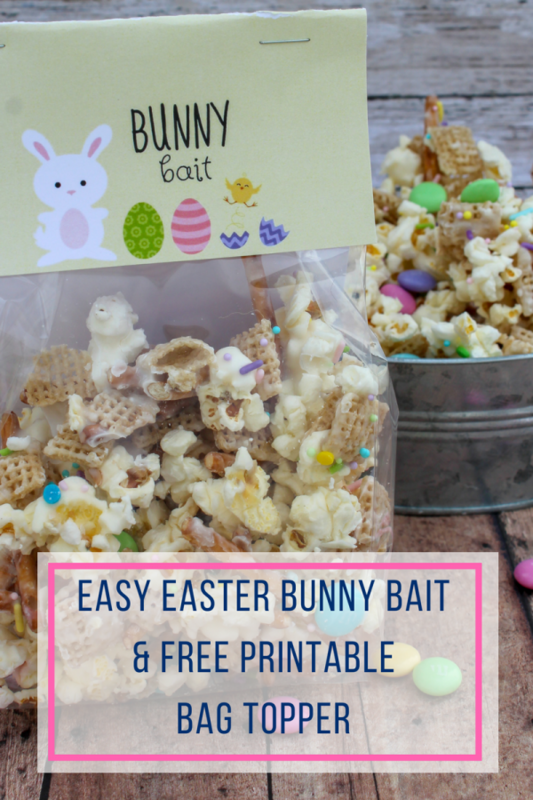 Easy Bunny Bait Treat Tutorial with Free Printable Bag Topper! 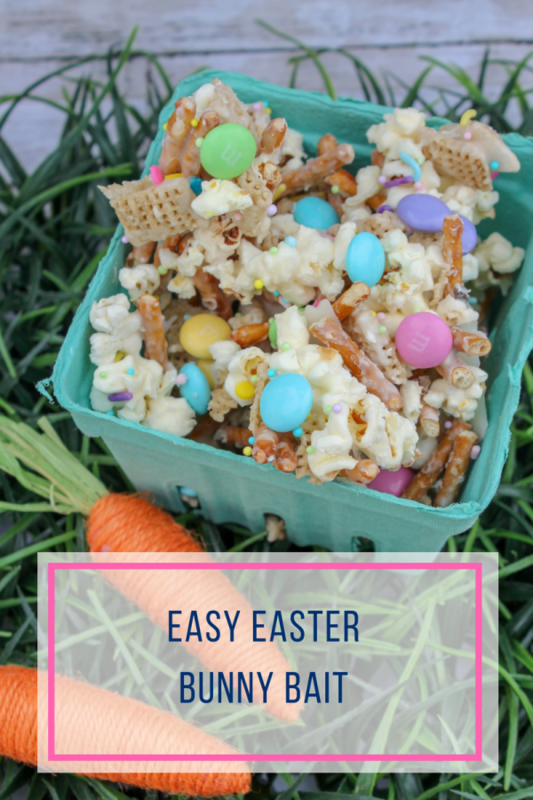 This easy bunny bait is always a big hit for Easter parties and is super fun to make. Print the bag topper for free and give it out to all your friends and family! 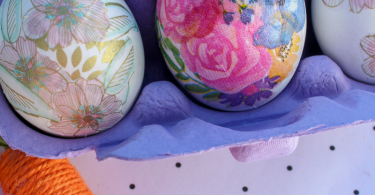 Put a sheet of parchment paper down on a sheet pan. 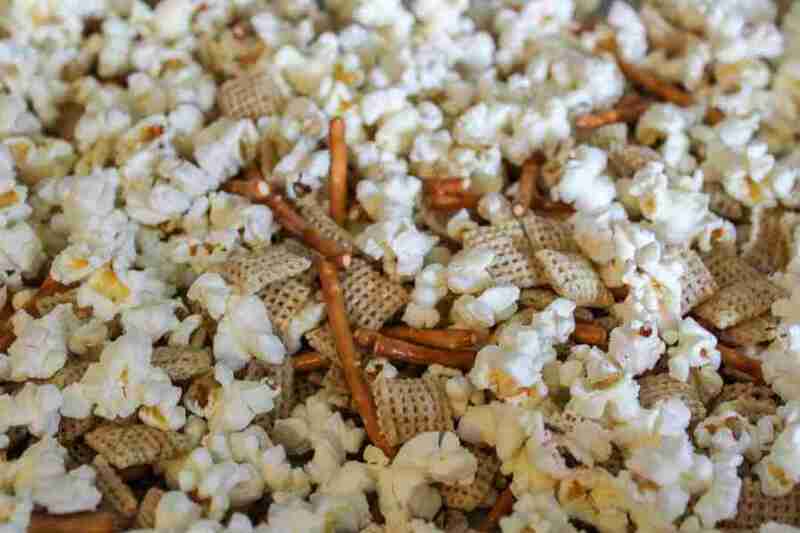 Pop a bag of kettle corn according to the package instructions. 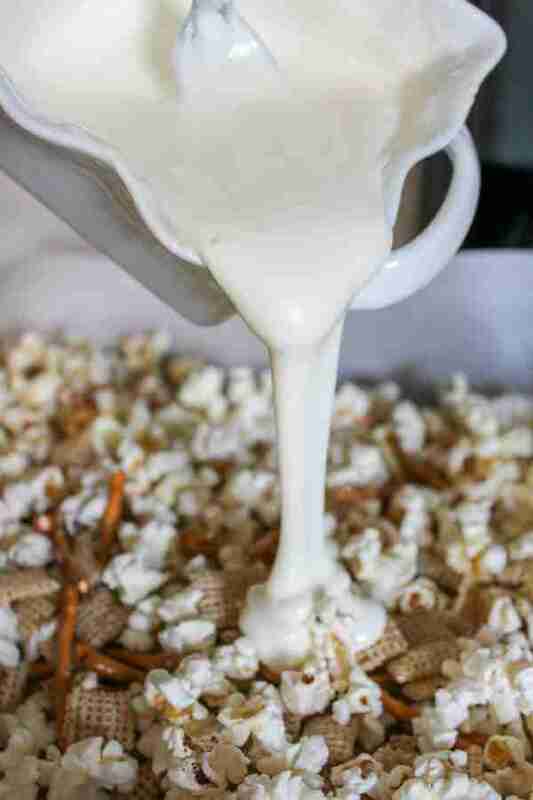 Pour the cereal, pretzel sticks and popcorn onto the pan and mix together. 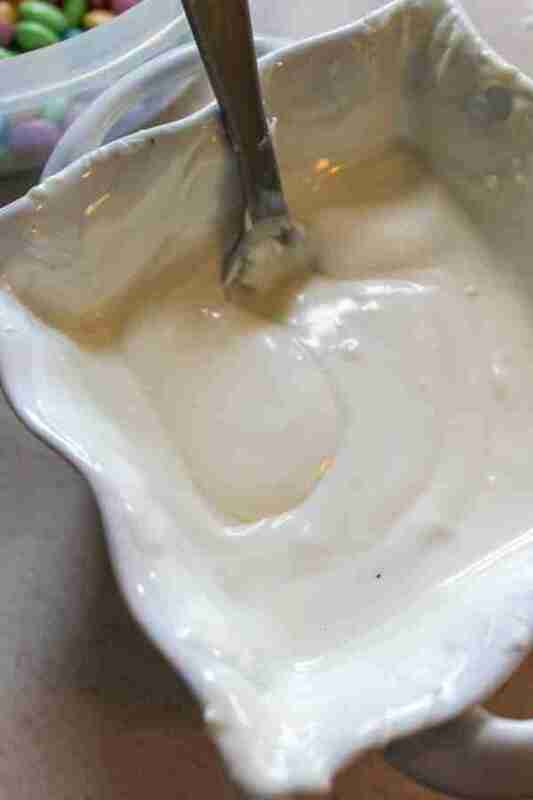 In a microwave-safe bowl, melt the white candy melts. 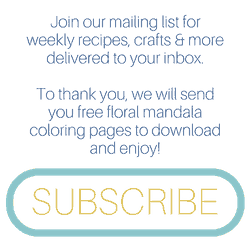 Pour over your mixture and stir to coat. 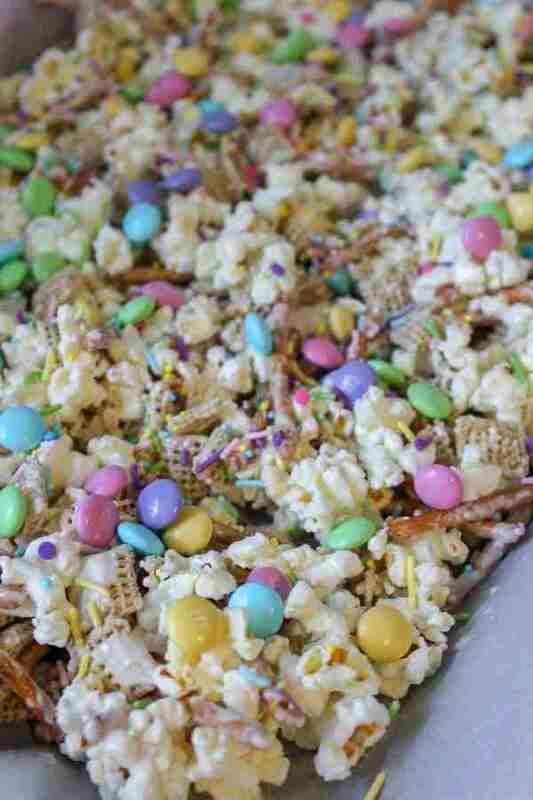 Scatter spring M&M’s throughout the mixture and let sit out until it is fully set. 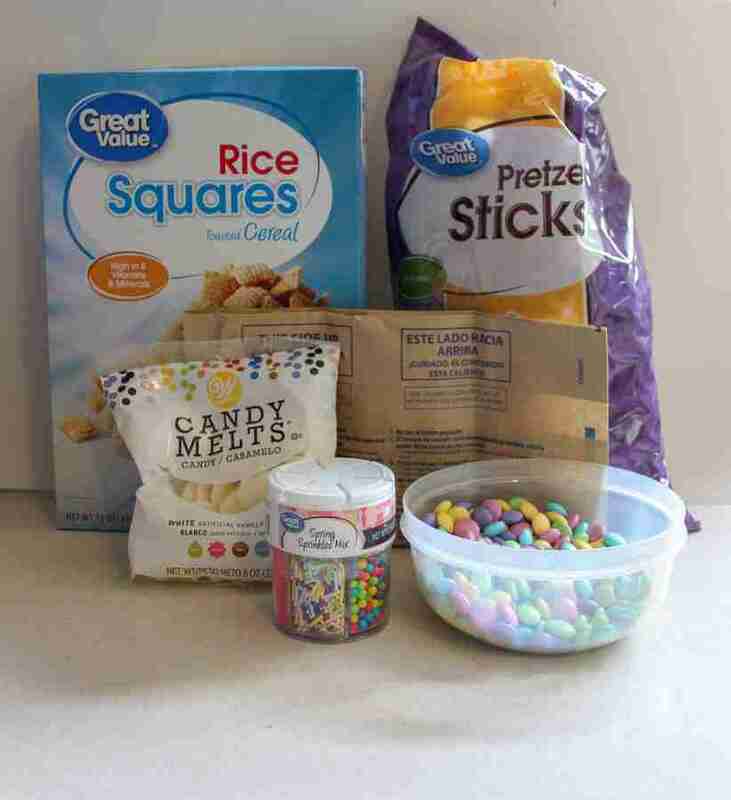 If you would like, pour into treat bags and top with our free printable treat bag topper! 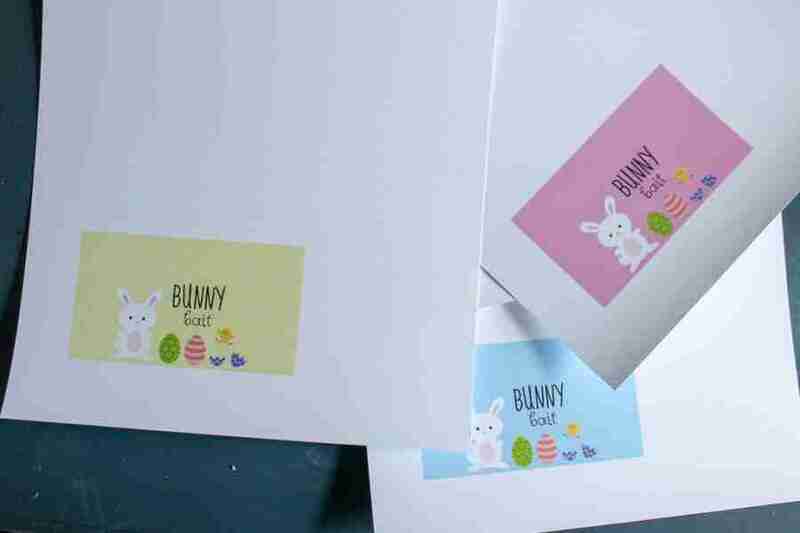 Print and cut out along the colored edge except on the top border, cut an additional white space large enough to fold over to staple to your ziploc bag. Save this for later by pinning it now!